Chart your Career Path in Tech. 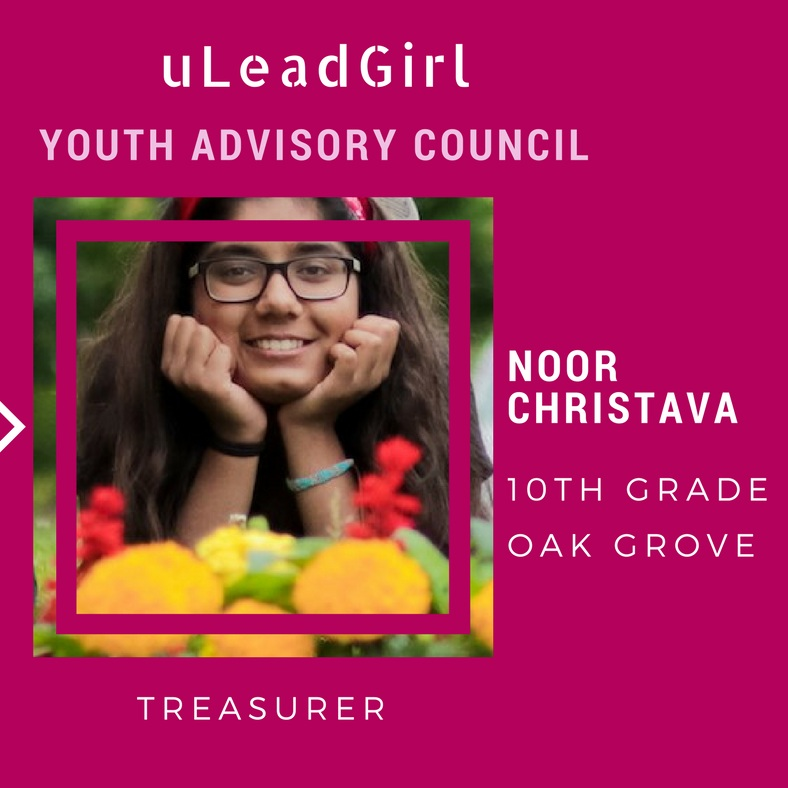 uCodeGirl is a 501(c)3 non-profit organization designed to inspire, engage and equip young girls in the community with leadership traits, computational thinking skills and an entrepreneurial mindset. uCodeGirl strives to bridge the gender gap in technology so that young girls can confidently pursue opportunities suitable for the 21st century. By building confidence, enhancing skills and tapping into their curiosity, uCodeGirl helps chart a pathway to technology careers. With various age-appropriate enrichment programs and STEM mentorship initiative, uCodeGirl makes technology learning accessible, relevant and fun for girls aged 12 to 18. Intrigued by the question, "How can I see more of me in the technology workforce?" Betty Gronneberg who holds an M.S. in Software Engineering and was selected to the prestigious Bush Foundation Leadership Fellow, founded uCodeGirl to help young girls re-write their future. Girls today represent only 18% of all computer science graduates, nationally. 82% of girls are largely out of the loop from participating in an exponentially growing tech career. We are here to re-write that story. Girls are curious, creative and capable powerhouses. When they are confident in their abilities and are prepared with knowledge and skills they need, they can become leaders in whatever fields they choose. Intrigued by the question, "How can help aspire more young women to technology career?" Betty Gronneberg who holds an M.S. in Software Engineering and was selected to the prestigious Bush Foundation Leadership Fellow, founded uCodeGirl. uCodeGirl is a year-round enrichment program with a vision to incubate talent, unlock potential and increase access to participation in technology industry. 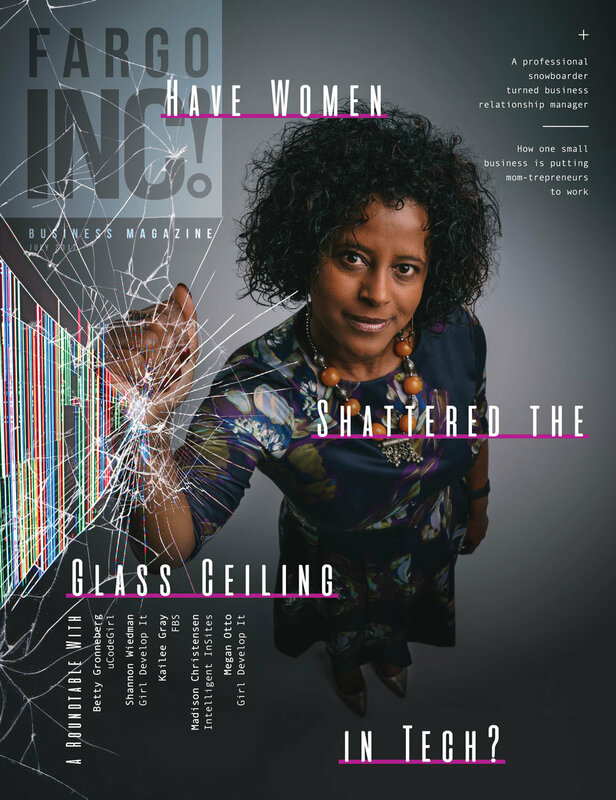 Intrigued and compelled by the ever-present question, “How can I see more young women aspire to technology cateers?” Betty Gronneberg made the un-natural progression from Software Engineer to Social Entrepreneur to found a social profit organization called uCodeGirl. Created to intentionally rhyme with the phrase “you go girl!”, the all-female powered non-profit, uCodeGirl, embodies inspiration and empowerment. Through year-round programming, Betty explains her vision of uCodeGirl as "we want to say to a young girl, we will support and encourage you with mentorship. We will teach and guide you to acquire technical skills. We will build the village around you and stand behind you by tutoring, as you explore your potential and find your best self.” So that the future generation is empowered with skills and confidence, they need to successfully navigate and actively participate in this increasingly digitally-driven market. "I was a 2nd year college student in Ethiopia majoring in statistics when I was given that rare opportunity to be part of the first-ever Computer Science degree program. I had never touched a computer before, let alone program one. But mentors guided me, and help me believe in myself. And I never looked back." After an M.S. degree in Software Engineering & a 23+ yrs software development career, Betty is set out to inspire more young women be the driving force of the technological products and services they consume. "Our purpose is to fill the access to technology sandbox with more diverse voices, globally, by inviting young girls to opt-in early...." ~ Betty Gronneberg, Founder and CEO, uCodeGirl. At the core of uCodeGirl is access to skills and opportunity, to reach out and touch a young girl. "We not only teach technical skills, but also create communities of like-minded peers, globally. We say come as you are, we will provide you with visible and accessible female mentors so YOU can create solutions to real-world problems and engineer YOUR world." Her call to action? "Join us to inspire and empower many more young women." As President of Entrepreneurial Learning Initiative, Bree Langemo, leads the national strategy for partnership development for the Entrepreneurial Learning Initiative. As Dean of Business, Public Service & Social Sciences at Pikes Peak Community College in Colorado Springs, Bree helped coordinate the rollout of the Ice House as a required student success course with extraordinary results. As a result, Langemo led the development of ELI’s newest product, the Ice House Student Success Program, a student success course that inspires and engages students with the perseverance and determination of an entrepreneurial mindset needed to succeed in school and in life. Sandi has been in the technology industry for almost 20 years working in startup software companies, to national technology consulting firms to Microsoft. Today, as the Site Leader for Microsoft Sandi and her team lead the operations of the Fargo campus which includes working on initiatives to drive growth, site operations, engage with customers & partners, develop employee culture & moral, support recruitment efforts across business groups and run the campus’s philanthropic and STEM programs. Sandi has a Master’s in Business and is currently working on her Masters in Leadership. Sandi is a true believer that great things happen when people work together to achieve a common goal. Dr. Nancy Hafkin has been working to promote information and technology in Africa and other developing areas, with particular emphasis on gender, for four decades. She was chief of research in the program for women and development at the United Nations Economic Commission for Africa (ECA) in Addis Ababa, Ethiopia— the first international women and development program in the world. She subsequently headed the ECA program to Promote Information Technology for Development in Africa, where she worked to establish the African Information Society Initiative that promoted the importance of information technology to African governments. The Association for Progressive Communications in 2000 established the annual Nancy Hafkin Communications Prize competition. In 2012 she was in the first group of inductees into the Internet Society Hall of Fame, in the category of “Global Connectors.” In 2015 she was received the UNWomen-ITU GEM-Tech Global Achiever Award. The National Museum of Computing in Bletchley Park (UK) features a poster of Nancy and her work in its new Women in Computing Gallery that aims to inspire more girls to take up computing as a career. Carol is designated as a Super Lawyer in the practice areas of Family Law and Alternative Dispute Resolution and received the 2015 Nationally Ranked Top 10 North Dakota Attorney Award by the National Academy of Family Law Attorneys. She is also involved with the North Dakota Lawyer's Assistance Program, assisting peers whose professional responsibilities are being impacted by mental health/substance abuse issues. Carol is a past chairperson of the Inquiry Committee Northeast, a facet of the State Bar Association Disciplinary Board and a member of the Association of Trial Lawyers Of America. Betty Gronneberg is a Founder and Chief Executive Officer of uCodeGirl, a social enterprise designed to inspire, engage and equip young women in the community with leadership traits, computational thinking skills and an entrepreneurial mindset. uCodeGirl is known for working with young women to forge pathways to careers in technology - making sure women are not under-represented in 21st century jobs and tech-executive positions. Betty has a Masters of Science degree in Software Engineering from North Dakota State University (NDSU). After 20+ years in the software industry and leading teams of software engineers, Betty was disheartened that her teams were missing something crucial - women. That’s when she shifted her career and founded uCodeGirl - the innovative driving force behind making girls intrigued and excited about developing technology solutions. Since then Betty has become a recipient of the prestigious Bush Foundation Leadership Fellowship. Betty currently serves on the Board of Directors for The Fargo chapter of the international Women in Technology association, and The Prairie Public Broadcasting Services. 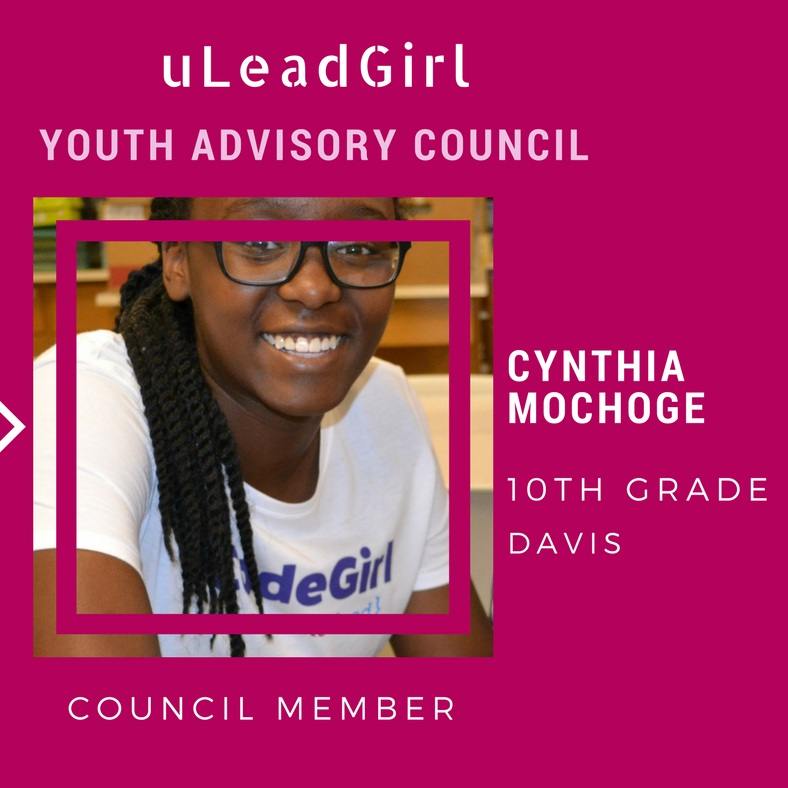 Our Youth Advisory Council, uLeadGirl, is created to cultivate the youth in leadership roles, public speaking and team work through collaboration. The members of uLeadGirl champion the importance of participating in technology & innovation as future workforce; be an important voice in evaluating and providing feedback of uCodeGirl program implementations. 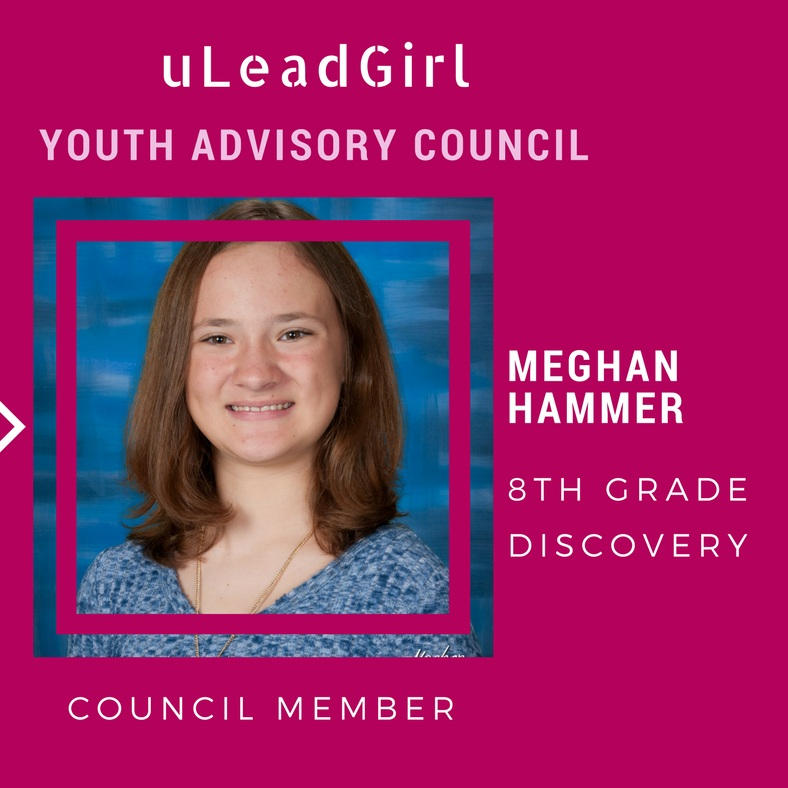 The young women are selected to contribute to the mission of uCodeGirl, while acting as ambassadors and thought leaders in their communities for special events. They coordinate and participate in workshops, speak at events and represent uCodeGirl. Copyright © uCodeGirL 2018. All Rights Reserved.